Ah, the fitting room: It’s where we discover our new favorite bras, get out of our comfort zone with some different styles, figure out our bra size, and also find bras that suit our breast shape. A lot can happen in the fitting room, but by keeping a few things in mind you’ll find it easier than ever to find the styles that fit you flawlessly. Unless you’ve had a bra fitting in the last six months, you should use this opportunity while shopping to have a pro determine your bra size. Your bra size may have changed without you even knowing it! Your bra size can change throughout your life due to a wide variety of factors, and if you don’t make sure to get measured, none of your bras will be able to flatter your shape and provide adequate support for your breasts. Not to mention, ill-fitting bras can cause a whole lot of discomfort. So while you’re in the fitting room, whether at a department store or independent lingerie boutique, go ahead and ask for a fitting. It’s a pretty quick and easy process that can save you a whole lot of time down the line. If you’re going to invest in some high-quality bras, you might as well make sure they’re the right size, right? Certainly, it’s not required to take advice from the staff at whatever store you’re shopping in. Perhaps you like to bring a girlfriend along for advice, or you’re on the shy side and prefer to do your bra shopping solo. However, there are so many perks to letting a professional advise you. For one, an expert bra fitter likely knows a lot about the fit of the brands and styles in the store. As a result, she can make personalized recommendations for which bra styles are best suited to your bust. Not only that, but a pro may be able to help you resolve certain fit issues you’ve been facing — such as if you never seem to fill out the upper part of the cups, your bra straps are always falling down, or you’ve never been able to find a supportive strapless bra. The point is, bra fitters tend to have a wealth of knowledge on bras, so you might as well take advantage of it while you’re shopping. Who knows? If they bring you a few styles to try on that you wouldn’t normally go for, you may be surprised at how well they work for you. Sometimes it takes another person to help you to get out of your comfort zone and consider some styles you wouldn’t normally try. Related: Ask A Bra Fitter: What Are Bra Fittings Like? When I’m bra shopping, I always make it a point to bring in two versions of every bra I’m trying on — my typical size and my sister size. Why? Because sometimes, you may be surprised that your sister size works better for you in a particular style. In case you don’t know, we all have bra sister sizes. To find yours, simply go up a cup size and down a band size, or vice versa (this handy chart might help). While your sister sizes will fit pretty similarly when it comes to cup volume, they can be useful when a particular bra fits well in the cups but too small or too big in the band. By bringing your sister size into the fitting room, you can make sure you get the best possible fit with every style you try on. One of the most common mistakes women make in the fitting room is trying on a bra and making the decision to buy it without seeing what it looks like under a shirt. While a bra may look attractive on its own, it’s important to see how it looks underneath your clothing. If you’re shopping for a special plunge bra to wear under a particular dress for an event, then you might as well bring that dress along. Putting your clothes on over the bra will help you to better determine if it will give you the fit you’re looking for — plus identify if any features are visible through your clothes. Let me guess – your typical bra fitting looks a little like this: You take off your top, fasten the bra, take a glimpse in the mirror from a couple angles, and decide if it’s a keeper or not. But here’s the thing: In everyday life, we don’t just stand still. We walk around, we sit down — sometimes, we even jump. Don’t be shy about doing all of these things while trying on each and every bra. That way, you can make sure it stays put and remains supportive no matter what. The last thing you want is to invest in a new bra only to find that it shifts around in an uncomfortable or unflattering manner when you raise your arms, or sit in a chair. So remember to move around before making a final decision on whether to buy a bra or not. Ready to have your best bra shopping expedition yet? 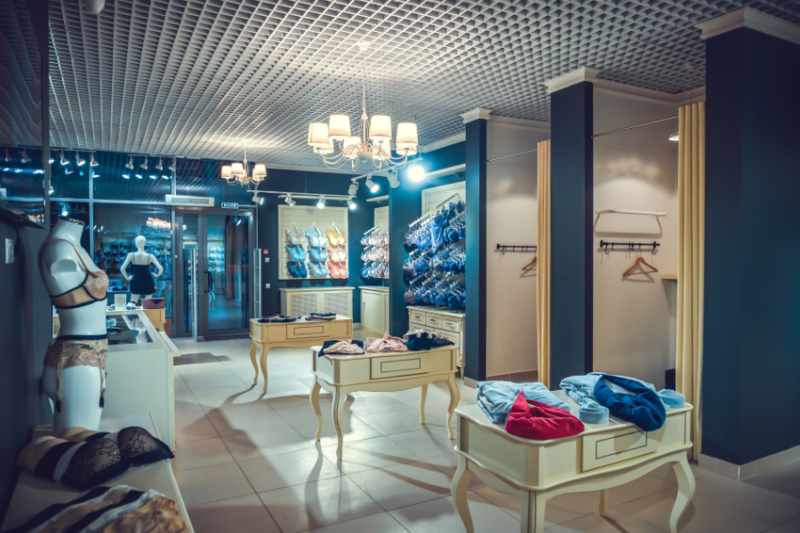 Be sure to avoid any of these aforementioned mistakes in the fitting room and you’re sure to make some smart purchases that make you look — and feel — as fabulous as you deserve.